Another day in work, popped home to Cardiff for a bit. Didn’t take any decent photos, so thought I’d show a photo of a current side project I’m doing for my blog. 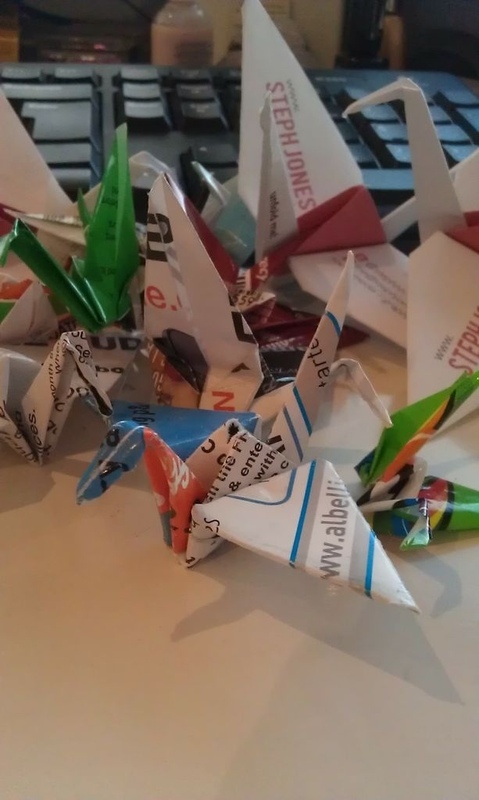 I love origami, and I’m constantly making cranes out of my rubbish I have on my desk. I decided to collect them all, and once I have enough I’m going to write a blog post about making positive out of situations, or something, I’ll work on it, promise.